The company has been registered by a well-known conservator working in the field since 1995. Heritage Preservation Atelier was initially registered as “Heritage Conservators Pvt. Ltd” in 2011, and the name was changed to “Heritage Preservation Atelier Pvt. Ltd” in 2013. The company has been actively taking up Preservation and Conservation Services for Tangible Heritage. We have been working on heritage structures/objects, paintings, archives, museum collections and collections of the private owners. We also provide Conservation training and consultancy services. We endeavor to provide solutions to the Heritage Preservation issues through the best possible Preservation, Conservation and Research services. Heritage preservation atelier is steadily and firmly moving ahead on the track of providing Ethical Conservation and Preservation services. Its mission is to reach the highest standards of Ethical Heritage Conservation in India and to strive to keep them updated. We follow the Codes of Ethics for Conservation and at the same time strike a balance with the sentiments of the Communities to which the tangible heritage that we are trying to preserve belongs. 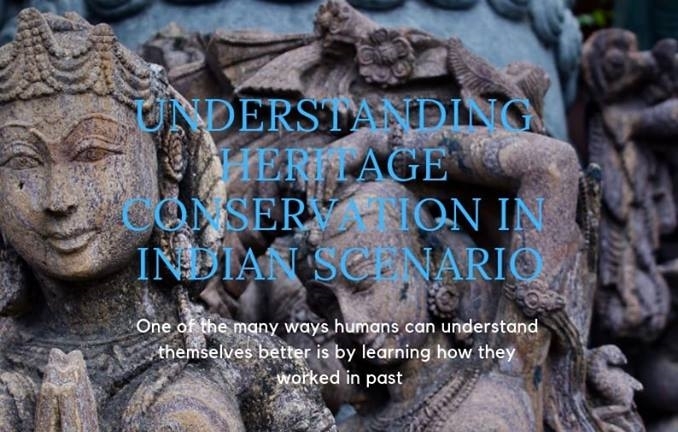 Formulate best business practices in the field of Conservation and Preservation of tangible Heritage. Provide best conservation and preservation services for archival, museum, other collections and heritage sites. Source and Create Conservation grade material for Best possible Conservation Equipment. Provide training opportunities to keep the in-house staff of the clients up-dated and well equipped for preventive measures and basic conservation treatments. Research and Development for best practices in material and techniques in Conservation and Preservation procedures. Consultancy services for Preservation and Conservation requirements of Heritage sites, Museums and Archives. Consultancy for research and formulation of Cultural policy, Museum Policy, Conservation Policy etc. Heritage Preservation Atelier develops Conservation products required by Heritage /Cultural Sites and Collections for their preventive conservation, storage and maintenance. Heritage Preservation Atelier Pvt. Ltd. follows all the standards and Ethics defined by ICOM. Preparation of a detailed plan for up-gradation of Sanghol museum, Punjab. Conservation of Books, Library of Kanya Mahavidyalaya, Jullandar. Have you done some work there? I really want to volunteer here or do an internship, kindly guide me, what the procedure? You can email your resume or CV at heritage.atelier@gmail.com. You can also start with just telling about yourself (like, where are you from etc) and your interests and skills at the same email id. Would be happy to help you follow your interest!